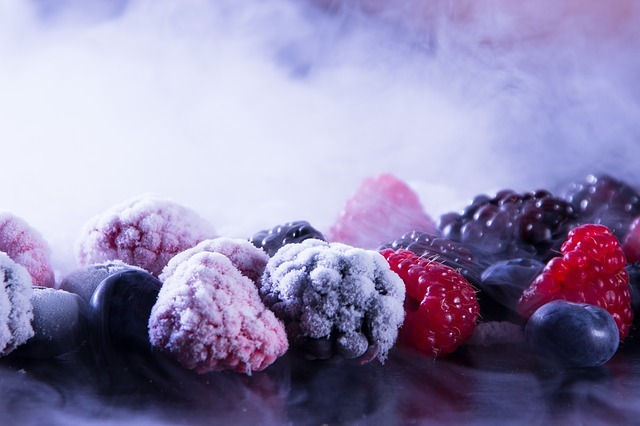 A massive recall of frozen produce has been issued after Listeria monocytogenes were found in the bagged food. The foods involved were processed at CRF Frozen Foods, a plant in Pasco, Washington. The recall involves at least 358 products under 42 different brands. Costco, Trader Joe’s, Safeway, Kroger, and other grocery stores in the area have found products known to contain the recalled fruits and vegetables. Publix has also recalled sunflower seeds and other packaged snacks made by TreeHouse Foods Inc. for possible Listeria contamination. The recall of CRF Frozen Foods’ products applies to all products made by that company with “sell by” dates from April 2016 to April 2018. Public health officials are investigating eight hospitalizations across three states that may be connected to the recalled foods. Two people have died after contracting Listeria from contaminated produce. CRF Frozen Foods released a statement warning consumers that the possibly contaminated items include: “Products include organic and non-organic broccoli, butternut squash, carrots, cauliflower, corn, edamame, green beans, Italian beans, kale, leeks, lima beans, onions, peas, pepper strips, potatoes, potato medley, root medley, spinach, sweet potatoes, various vegetable medleys, blends, and stir fry packages, blueberries, cherries, cranberries, peaches, raspberries, and strawberries.” The products were distributed in all 50 states in America and in the Canadian provinces British Columbia, Alberta, Manitoba, and Saskatchewan. What makes Listeria so dangerous? While most people associate foodborne illnesses with contaminated meat and eggs, many pathogens can hitch a ride on fruit and vegetables. In busy processing plants, it’s easy for an outbreak that began at one farm to spread throughout the facility. Unlike some other pathogens, Listeria monocytogenes can grow on foods that are kept within a refrigerator. It can also withstand relatively high heats; a temperature of 165°F is necessary to kill the pathogen. Pasteurization, a process in which dairy products and other foods are heated to high temperatures in controlled conditions, can kill Listeria and other pathogens. Listeria can cause headaches, confusion, balance problems, convulsions, muscle aches, and neck stiffness in people with healthy immune systems. Pregnant women, the elderly, and people with compromised immune systems can suffer more serious consequences from Listeria contamination. Pregnant women are particularly vulnerable to Listeria, with some populations experiencing infection rates at 24 times that of the general population. In pregnant women, Listeria infections can cause miscarriage, preterm labor, and serious illness or death caused by bacteremia or meningitis in infants. The elderly and others with compromised immune systems are most likely to develop septicemia, meningitis, and acute febrile gastroenteritis as a result of Listeria infection. What should you do if you suspect you have Listeria? See a doctor right away. Listeria is treatable with antibiotics, but time is of the essence, especially if you are pregnant or immunocompromised. Write down everything you can remember about what you ate and where you ate it recently. If possible, save any product packaging and check lists of recalled foods. If your doctor confirms that you have Listeria, contact your state health department and call the Center for Disease Control. If you have significant medical bills, lost income, or permanent changes to your health as a result of a foodborne illness, consider speaking with a personal injury attorney about whether you have a case for damages.